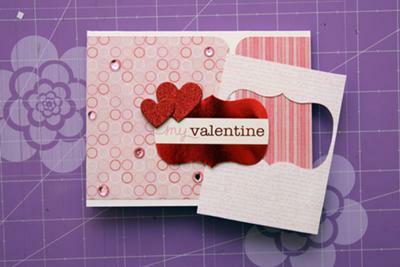 To make the card, I cut two rectangles out of different papers from the Rose Colored Glassed 8x8 Pad by GCD Studios. 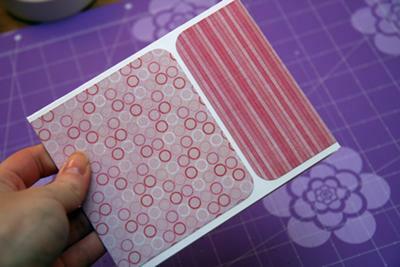 I rounded the corners of the rectangles and adhered them onto the card base. 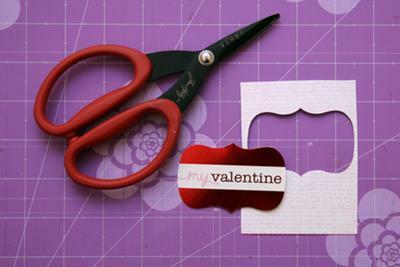 I cut an inner shape out of a making memories journaling card and adhered it onto the card using dimensional adhesive. I added glitter hearts and rhinestones to the card. To finish the card I added the leftovers from the journaling card.